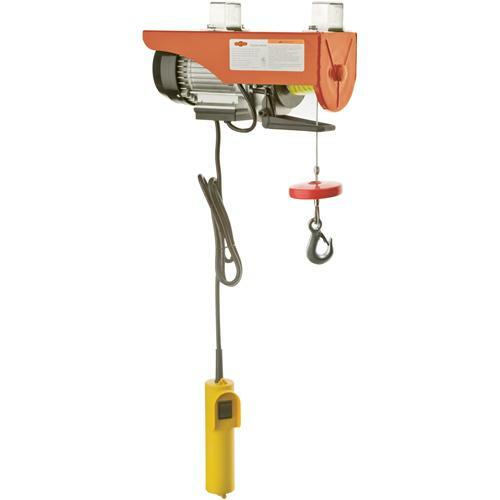 Home > Hand Tools > Lifting - Pulling - Straps - Winch > Shop Fox D4070 Electric Hoist 440 lb. 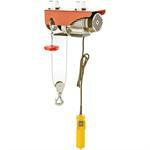 Woodstock D4070 Electric Hoist 440 lb. 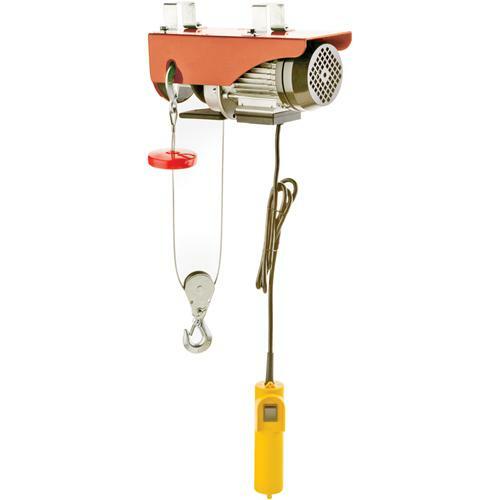 Woodstock D4070 Electric Hoist 440 lb. Woodstock D4070 Electric Hoist 440 lb. This electric hoist is great for lifting engines, tables, shop equipment and a whole range of other products. The biggest advantage to this hoist is that you do not climb a ladder and crank a lever. You can be on the ground with the item you are hoisting controlling the operations with the 5-1/2" long cord and up/down switch.